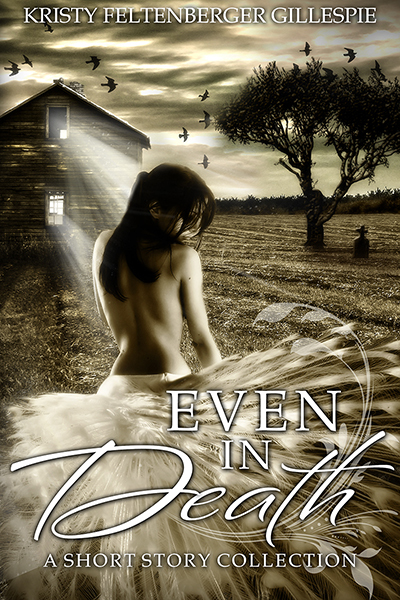 Even In Death, a collection of ten short stories, explores the thin line between love and hate; extreme emotions even death cannot destroy. Julie wants nothing more than to receive a flower bouquet from the hometown veterinarian. However, in “A Flower Story,” flowers are delivered long after a person is alive to smell them. After purchasing their dream home, Sara and David feel truly blessed. Unfortunately, the couple soon discovers they’ve inherited a wicked curse. In fact, in “What’s Really There,” the former residents’ spirits refuse to move on. In the title story, on the anniversary of his fiancés’ death, Mark realizes that he can see and communicate with spirits, including Amy’s. Can Mark and Amy’s love survive even in death? 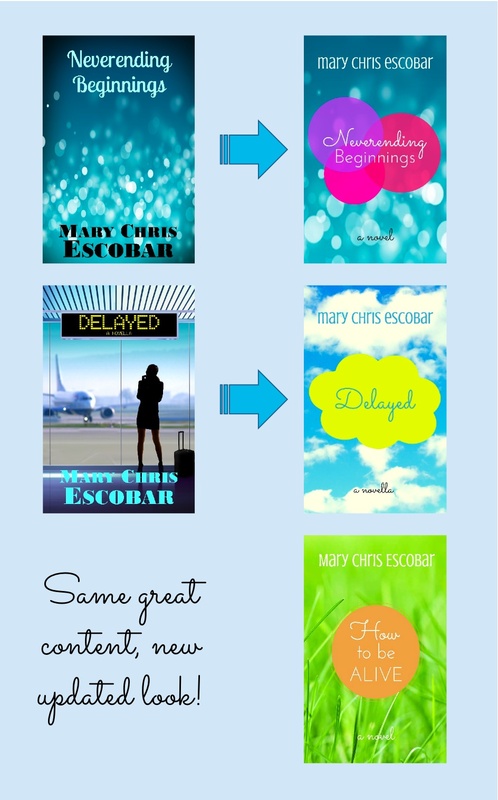 “A Flower Story,” “What’s Really There,” and “Even In Death,” as well as the other seven stories in the collection are rife with emotion that will linger well after the last page. Full disclosure: I’ve known Kristy Feltenberger Gillespie for many years and have been privileged to read her stories while part of the critique group The Sarcastic Broads Club. The stories she told over lunch at the James River Writers Conference moved me — I had to read more. Four years later, this short story collection is no exception. Loss, loneliness, and love tie the ten independent stories together. Kristy writes poignant family relationships. Her vivid metaphors, with their use of everyday objects, reveal character and extraordinary circumstances: “I often feel like a well-worn 3x3x3 Rubik’s cube with peeling, fading stickers.” Believable characters range from childhood to end of life, exploring heartache and hope. Kristy Feltenberger Gillespie lives in Warrenton, Virginia with her husband, two cats, and three dachshunds. She’s a middle school counselor, graduate student at Longwood University, (pursuing a degree in School Library Media) blogger, short story and Young Adult novel writer. When she’s not working, she’s traveling or dreaming of traveling. She’s been on several cross country road trips with her mom. In fact, Hawaii and Alaska are the only states she hasn’t been to. 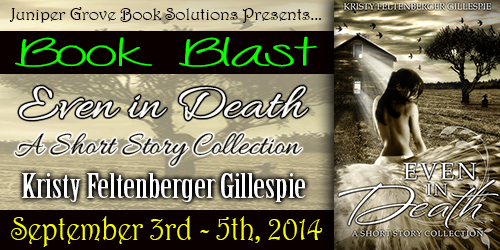 Follow Kristy at @KFGillespie and at her blog, Keep Calm and Write On. You can find Jaded, her YA novel, here. When Angelica adjusts her sunglasses, Olivia notices her best friend’s black eye. “Oh, sweetie, what happened?” Olivia reaches across the sticky table for Angelica’s hands but she moves them quickly; as if Olivia’s touch is a flame that will burn her beyond recognition. “Plain coffee, please,” Olivia says. “You’re wearing sunglasses indoors, long sleeves and jeans, and it’s like eighty degrees outside. And your makeup is only partially covering your bruises. Obviously your boyfriend is a beater. Just know you’re worth more than that.” Before Angelica has a chance to respond, Susie moves to the next table.